36 in. 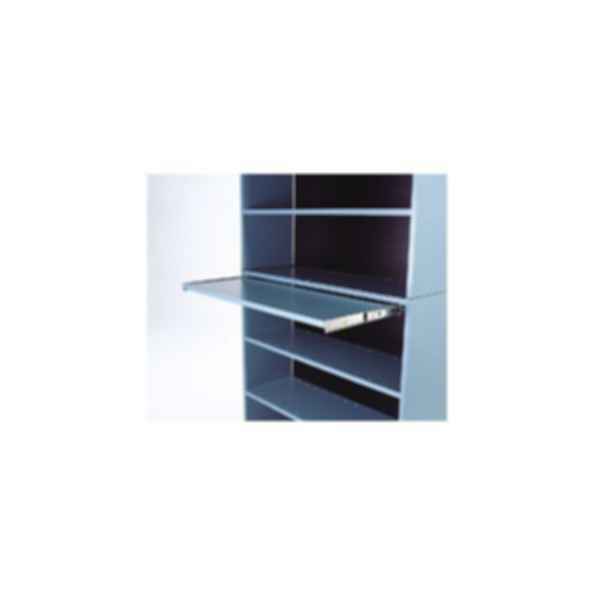 wide Pull-Out Shelf for 6000 Series Cabinet. Add convenient work surface to your filing system. Order as an option with a new cabinet or it may be added to some Ancom 6000 Series cabinets. Same sturdy laminate wood with heavy duty glides. Ancom is a team of 40 employees who manufacture and distribute filing and storage system solutions and supplies for healthcare, government, legal and business professionals nationwide. We are dedicated to earning the confidence and trust of our clients by achieving a superior level of customer service with a personal touch.